As you can tell from your mail, many nonprofits continue to integrate direct mail outreach as part of their overall fundraising strategies. One well known nonprofit that does so is the USO. In a recent direct mail campaign, the USO’s fundraising materials included personalized address labels featuring an image of the Purple Heart next to the veteran’s name and address. Robert W. Tucker, Jr., a disabled veteran who served in the Army for 12 years ending in 1994, has mailed letters of complaint to the USO as well as Representative Elizabeth Esty (D-CT) because he believes the use of the Purple Heart image creates a misleading impression about this military honor for service members wounded in combat. It makes it appear that I have a Purple Heart medal. I DO NOT have one… [The USO] is sending these stickers to millions of people across the USA for the purpose of a fundraiser…insulting all branches of our military and tarnishing the honor of [medal recipients]. When the Military Order of the Purple Heart Service Foundation sends a fundraising mailing using personalized address labels, only Purple Heart recipients receive labels with the image, according to Bircher. 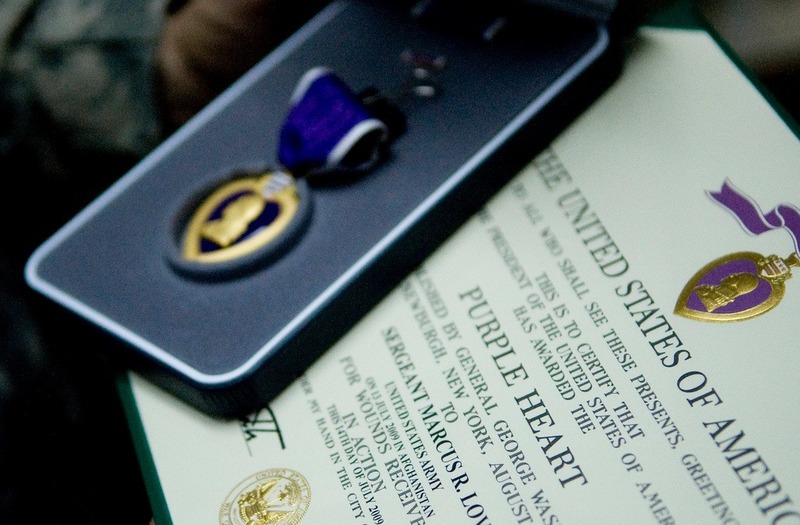 The Military Order of the Purple Heart Service Foundation owns the copyright to the use of the words “Purple Heart” for fundraising purposes, according to John Bircher, spokesperson for the Foundation, which is a congressionally-chartered veterans service organization with permission from the Army Institute of Heraldry to use the medal image in multiple ways. The image of the medal is in the public domain, however. An official from the USO explained that an enormous amount of thought went into its fundraising campaign materials. However, clearly, this recent campaign did not create the anticipated response: It did not create goodwill; it caused distress.